ENCINITAS — Encinitas has launched a mobile application that will allow residents to quickly requests service for neighborhood concerns, such as damaged sidewalks or downed traffic signals. The mobile app, powered by SeeClickFix, allows residents to report the problem, including by sending photos and locations of the issue, via the app, which then is routed to the proper department after the city acknowledges receipt of the request. 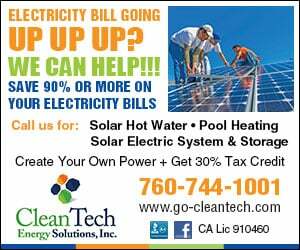 Users can also submit requests through service request categories via the city’s website and Facebook page, but without the photo options. Residents can report street light outages, traffic or street sign problems, downed trees or other hazards, potholes and graffiti on the new app, which also maps the requests so people can see if the problem has been reported by others. 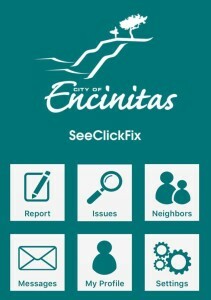 Service requests can be submitted and tracked from the city’s website directly at encinitasca.gov/seeclickfix where users will also find links to download the mobile applications.